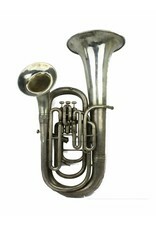 Conn's model 56I Double Bell Euphonium with original case. 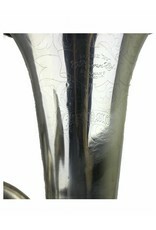 The Wonderphone model Euphonium has come into its own and is equally as popular as the regular straight or upright model... 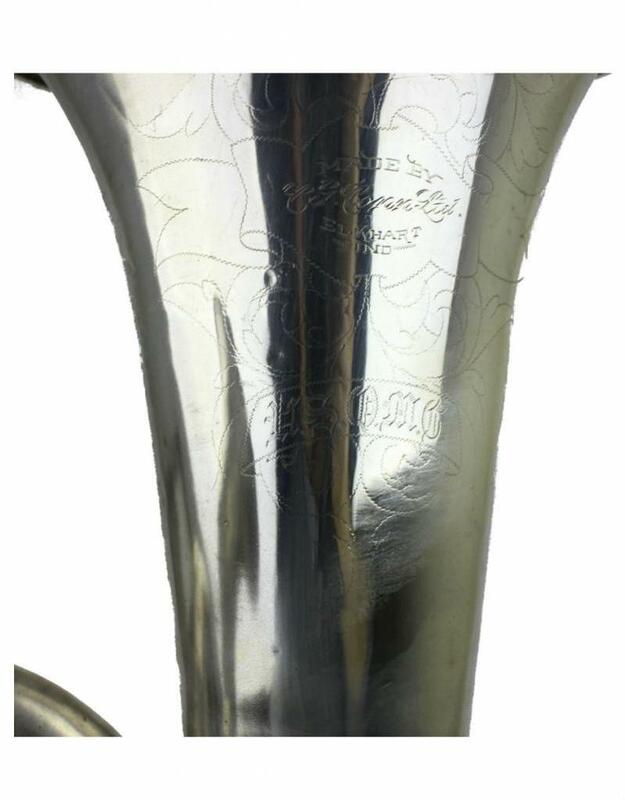 The effect of the tone of the Wonderphone thru the bending of the bell adds to its mellow quality and its practical for the same reasons as are the Wonderphone model Altos and Tenors. 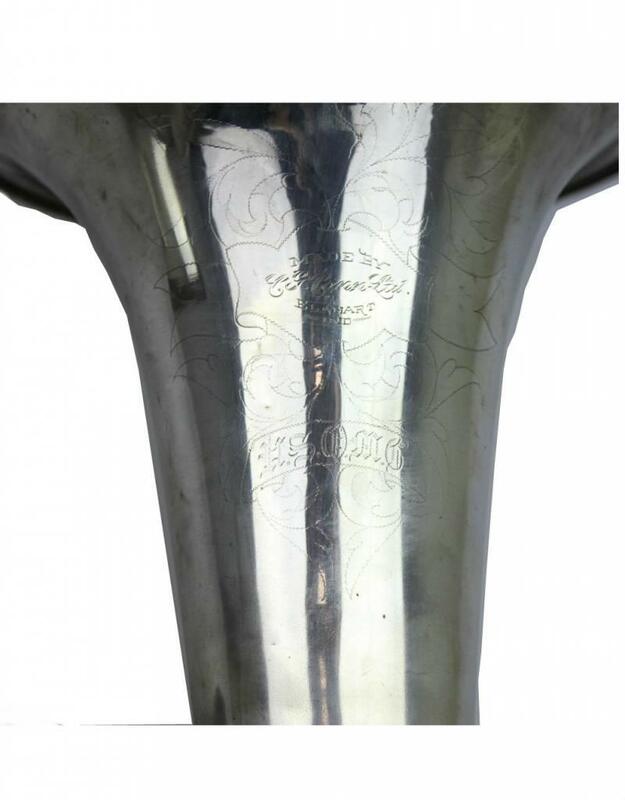 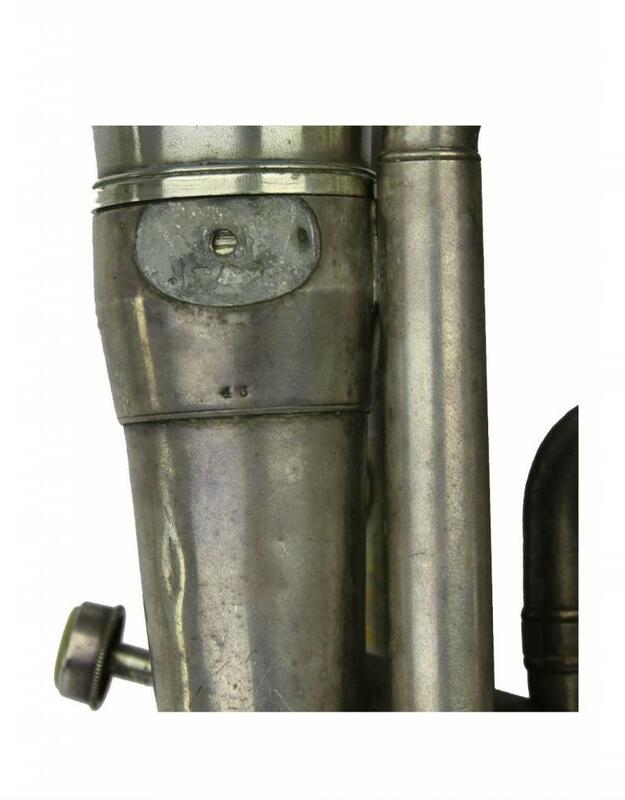 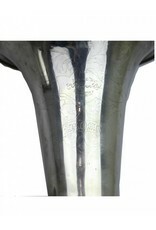 Many soloists prefer the Wonderphone model Euphoniums inasmuch as the bell points more directly toward the audience. 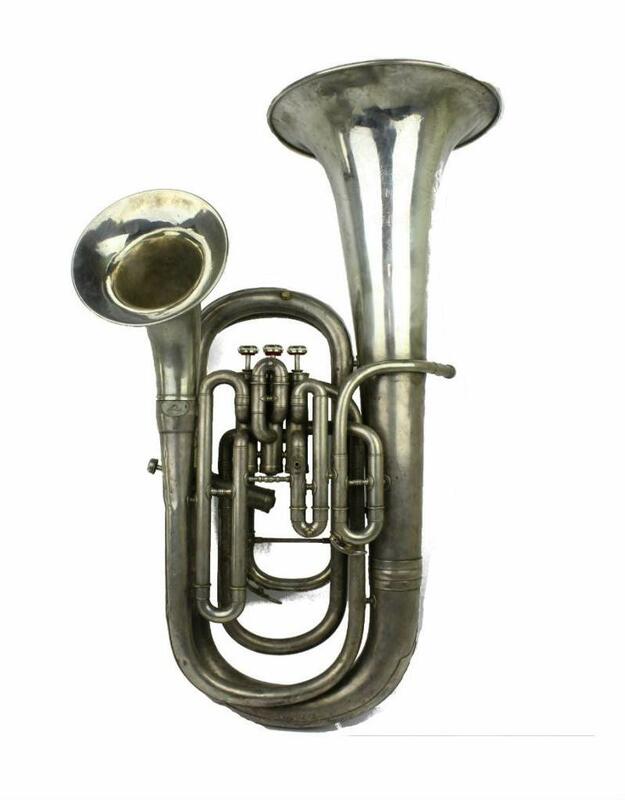 Bandsmen can turn the bell of this model toward the audience or the director at will. 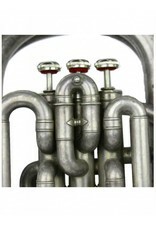 It possesses the same important attributes as all other latest model Conn Ltd. instruments. 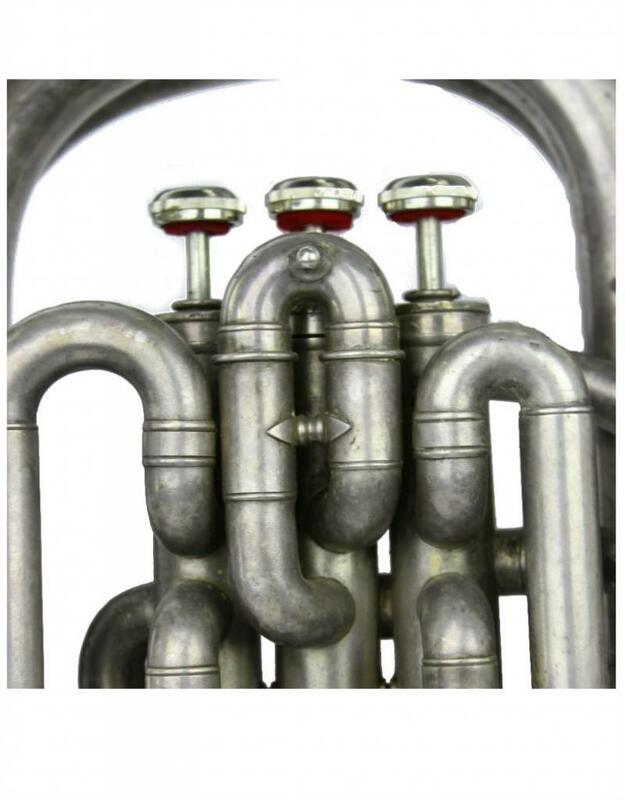 This horn was built ca. 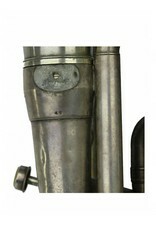 1916 and is in good playing condition.